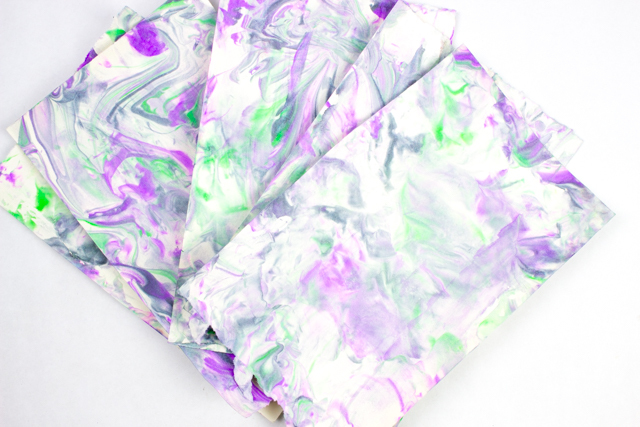 First, you'll need to marble your paper. 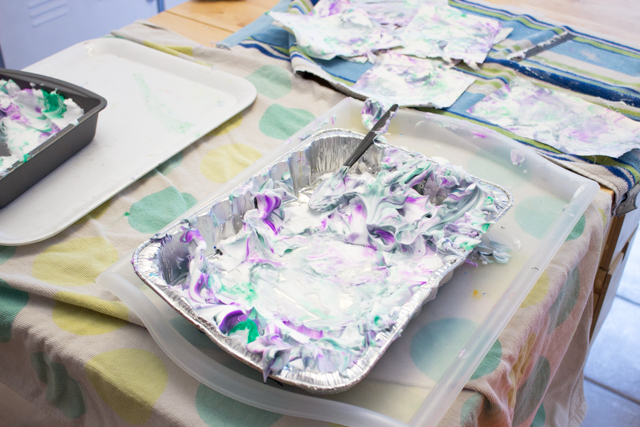 We sprayed shaving cream (plain old cheap Barbasol) into a baking pan. Then, we dripped food coloring and liquid watercolors into the pan. (We chose purple, green, and black.) Then, the kids mixed the colors around. 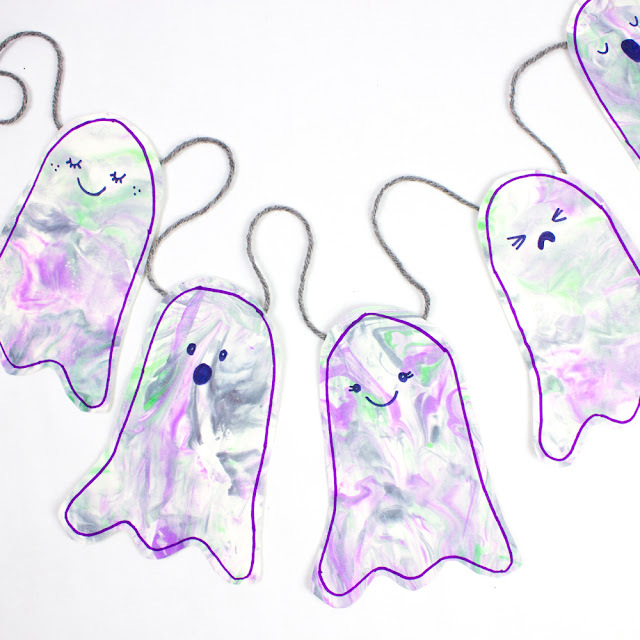 Then, I gave both children sheets of paper that they then pressed into the shaving cream. I used a ruler to scrape the excess shaving cream off. I cut out ghost shapes and drew on some cute faces. 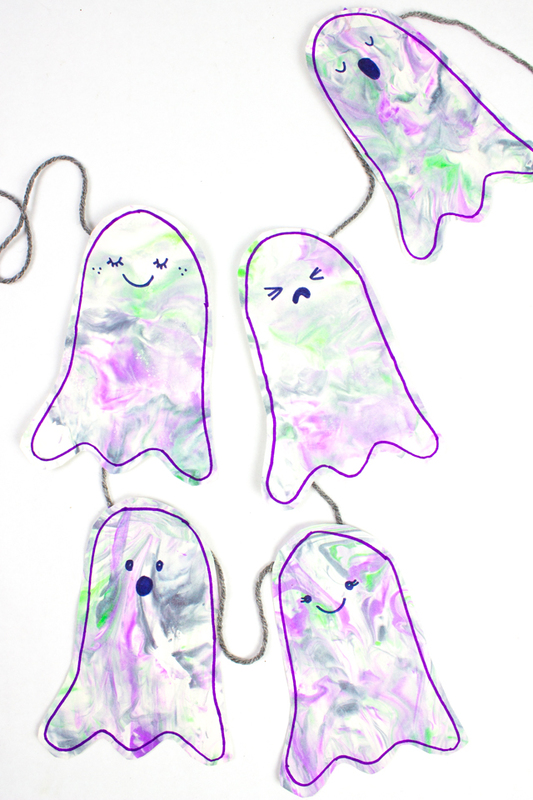 Then, I taped the ghosts onto a piece of yarn to create a cute, crafted banner to hang over our fireplace.